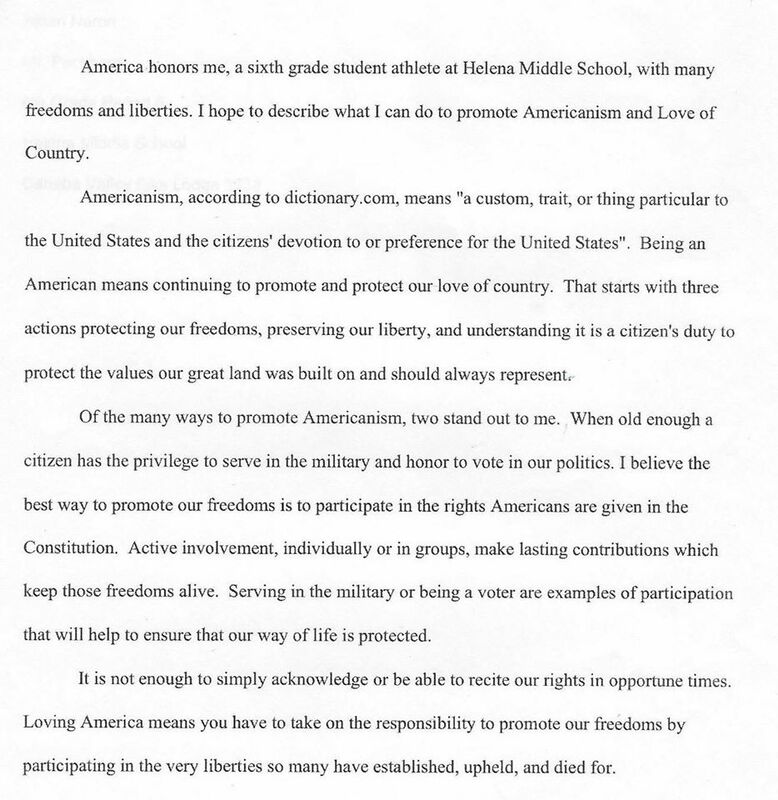 AMERICANISM ESSAY CONTEST WINNERS 2015. DEPARTMENT OF WISCONSIN. Grade 3 & 4. Class I. Madeline Fipps. #461 Pembine. 1st Place. Devin Jennerjohn. #512 Shiocton. 2nd Place. Elizabeth Foster. #357 Bay City. 3rd Place. Jackson Fiamoncini. #87 Rice Lake. 4th Place. Halle Derleth. #93 Tomahawk. Welcome to Post #71 of the American Legion located at 107 North Broadway, Urbana, Illinois! This site was created so our members can easily access important information about our Post as well as the National Organization.